Speaking in public or giving presentations can be quite daunting, particularly if you are unsure of your voice or prone to nerves. Prolonged use of the voice (ie when teaching) can also be tiring and possibly damaging if not used correctly. Voice coaching sessions include advice, techniques and exercises to help you speak with good clarity and projection without straining your voice. This workshop cover areas such as how the voice works, common problems, vocal health and management, voice projection, overcoming nerves etc and includes practical exercises to cover all these areas. Ideal for teachers or other professionals who have to use the voice for prolonged periods of time. 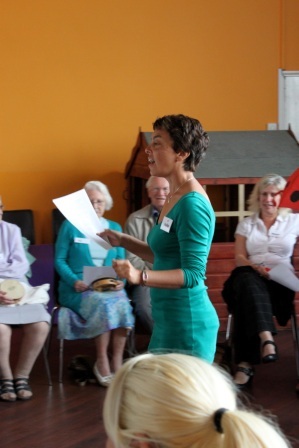 A singing workshop can work well as a fun, interesting teambuilding activity. Participants are lead in to the singing gently working with voice and rhythm and can include harmony singing and even songwriting. Benefits can include improving voice quality, projection, confidence, teamwork skills and boost staff morale.